A root canal. Just the words are enough to send a shiver down the spine, as the procedure is not something the average individual looks forward to with anticipation. If you take care of your dental hygiene, you will likely never have to worry about the possibility of a root canal. However, that is more fantasy than reality, so it is important to be aware of the signs that a root canal therapy is needed. There are a few tell-tale signs that the pulp of your tooth has become irritated, inflamed, or infected, and that you should see an endodontist for a root canal as soon as possible. If you are experiencing any of the below signs, contact the root canal specialists at University Dental by calling (619) 473-2565. One of the initial signs that a root canal therapy may be needed is that you experience a severe and painful toothache when you are chewing. This is beyond just a slight pain, as the toothache should be intense and strong. Similar to number one, if you get a similarly strong toothache when applying pressure to the tooth, you most likely are in need of a root canal. The tooth will also incredibly sensitive to hot and cold temperatures, resulting in incredible and prolonged pain when met with very hot or very cold food or beverages. The pain is not fleeting, as it lasts long after the hot or cold temperature has been removed from the tooth. If the tooth is severely infected, it may become discolored. The tooth will darken considerably, looking unnatural and unhealthy. The gums around the tooth may become swollen and tender. 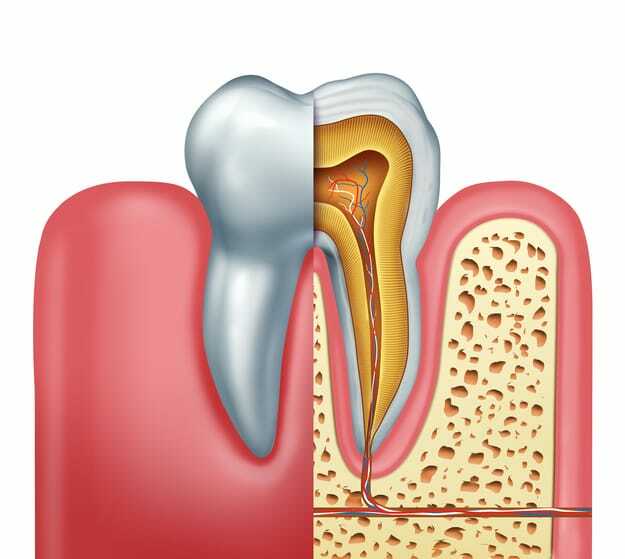 The infection in the tooth will make the gums tender to the touch, sometimes resulting in pain. There may be a persistent and recurring pimple on the gums near the infected tooth. Unfortunately, in some cases no symptoms are present. That is why it is essential to visit your dentist for a biannual exam, as they can find and treat the early symptoms of a damaged tooth. If you are experiencing any of the above symptoms, contact University Dental for a dental exam as soon as possible. Our team of dentists and endodontists can find any signs of damage to the pulp of your teeth and treat it with a root canal therapy or a different treatment. If you are interested in learning more or would like to schedule a dental exam, contact University Dental today by calling (619) 473-2565.